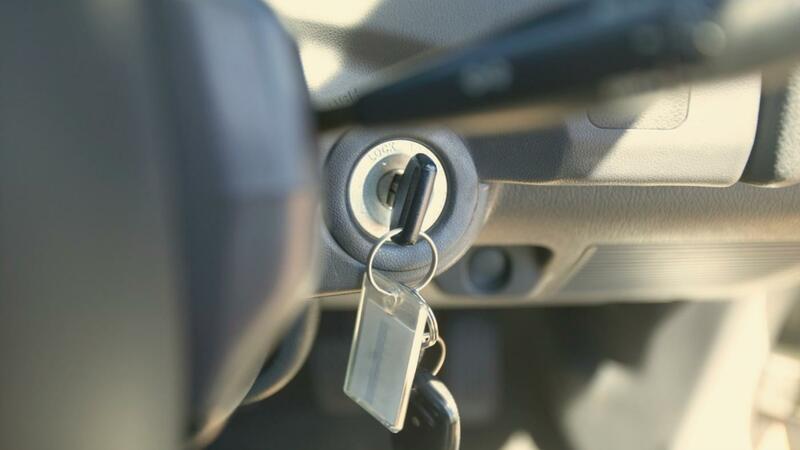 If your car key is stuck in the ignition, there are a couple of things that you can try yourself. If you do not have success with these options, you should call a professional locksmith to assist you. The easiest thing to do first is to check to make sure that the key is in the off position and the vehicle has been put into park. If the key still doesn't come out, try jiggling the steering wheel. Sometimes the ignition is locked because of the steering wheel's position. Also, a lubricant such as WD-40 may be used, but do not try to force the key, since it could break off and damage the ignition.